Arrive in to Vancouver where the rest of the day is at your leisure. At 6 p.m., gather at the hotel for a Welcome Reception. Start with a morning tour of historic Chinatown, Gastown and explore Stanley Park. 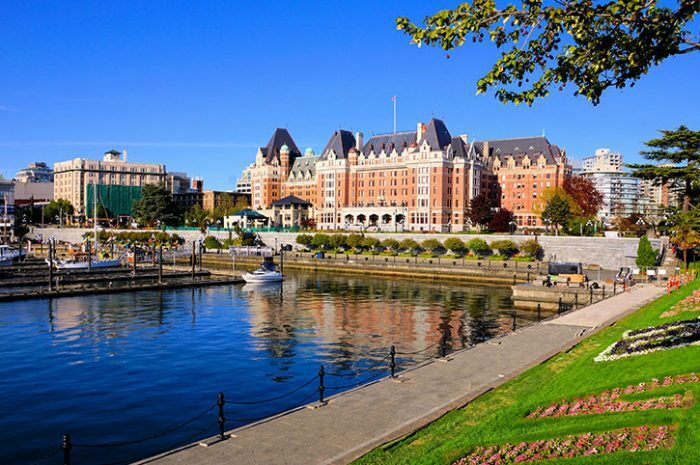 Travel by ferry and visit a family-owned cider house for a tasting before arriving in Victoria. Enjoy breakfast at Butchart Gardens. A representative can answer questions before you explore. 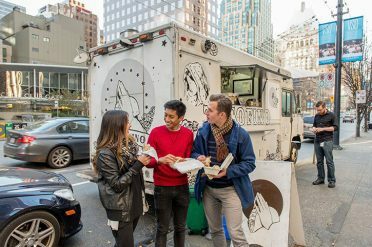 Back in Victoria, enjoy a guided city tour before an included your choice dinner with a selection of restaurants to choose from. Set out for Chemainus, famous for its outdoor murals. Return to the mainland and drive the scenic Sea-to-Sky Highway. Board the Sea-to-Sky Gondola and ride all the way to Summit Lodge, before travelling on to Whistler. Start today with a guided walking tour of Whistler, home of the 2010 Winter Olympics, led by a Local Specialist. Next, meet another Local Specialist, a First Nations ambassador at the Squamish Lil’wat Cultural Centre. Spend the rest of the day at leisure before joining your travelling companions for a Regional Meal dinner. From our ancient, volcanic peaks with their 360-degree views, to our vibrant and sophisticated village with its incredible vibe, Whistler Blackcomb has summer covered from top to bottom. Travel across BC’s rooftop on the world record-breaking PEAK 2 PEAK Gondola, explore over 50 kms of high alpine hiking trails, then head to the valley for a bike ride on Whistler’s paved valley trail, or its renowned single-track network in the world-famous Whistler Mountain Bike Park. Approx. duration: 1 hour. Continue toward the ski resort of Kamloops for an evening to do as you please. Immerse yourself in the glories of Banff. Enjoy a free afternoon before joining your hosts at the Boundry Ranch for a scenic Be My Guest dinner. You are in for something special as you are transported to Mount Assiniboine – “the Matterhorn” of the Canadian Rockies. Our most popular adventure has all the fantastic scenery of the previous tours plus a fly by over top of the glacier. This photogenic peak rises majestically to 3,611meters (11,870 feet) along the Great Divide. The Gloria and Assiniboine Glaciers will astound you. This is an experience you will never forget! Approx. duration: 30 minutes. At the Banff Gondola, you’ll see more mountains in a moment than most see in a lifetime! 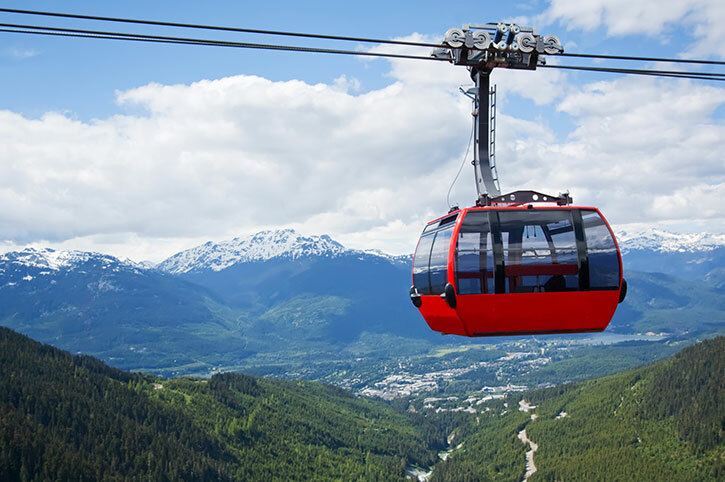 Ride to the top of Sulphur Mountain to experience a bird’s eye view of six mountain ranges of the Canadian Rockies. Begin with an eight-minute journey to the summit in a fully enclosed four-passenger gondola cabin. The views become increasingly spectacular as you climb to an elevation of 7,486 feet ( 2,281 meters) to the Summit Upper Terminal. Witness the breathtaking views in every direction or go to the restaurant area to enjoy the views inside or from its upper deck. You can also take the Banff Skywalk for a short self-guided interpretive walkway along the summit ridge leading to the Cosmic Ray Station National Historic Site of Canada. Subject to weather conditions. Approx. duration: 2.5 hours. 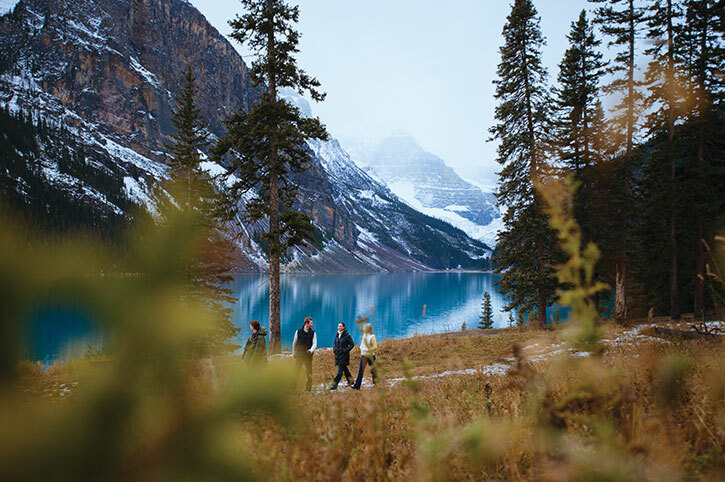 Arrive at Lake Louise with a short lakeside talk. 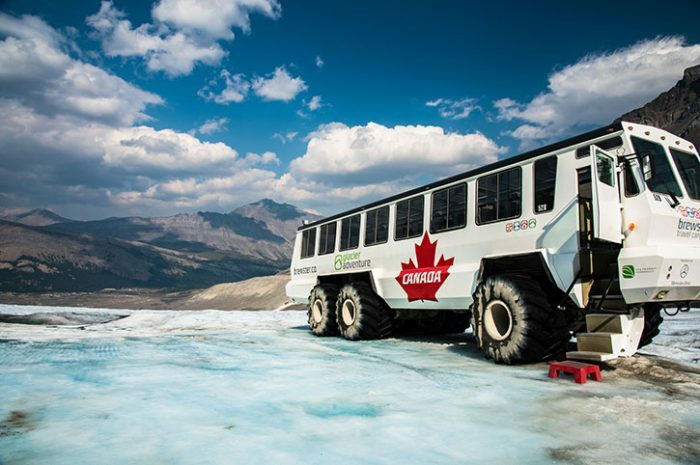 Then, climb aboard an Ice Explorer and drive on the massive Athabasca Glacier. Later this afternoon, arrive at your hotel in Jasper National Park before enjoying a Farewell Dinner. Enjoy a guided walk at Maligne Canyon. 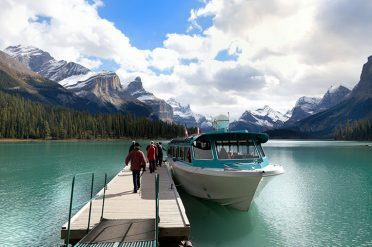 Then, embark on a narrated cruise on Maligne Lake (seasonal). Stop at Spirit Island before returning to Jasper for free time. Lifejackets and the specially designed, 25 foot (7 meters) long, oar-powered rafts; offer a safe and comfortable ride through several small, easy sets of rapids and calm stretches that any first-time rafter will enjoy. Don’t worry the guides do all the rowing; you sit back and enjoy while exploring all the spectacular scenery drifting down a route that was used by fur traders many years ago. 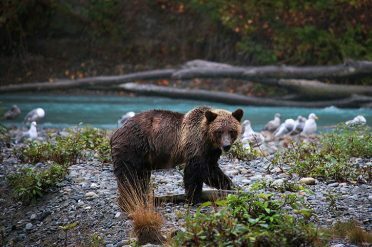 There is always a chance of seeing various wildlife including elk, deer, moose, coyotes, wolves, eagles, ospreys, mountain sheep and bears. Tours will operate rain or shine, and a poncho will be provided when required. Approx. duration: 50-90 minutes. Arrive at Mount Robson, the Canadian Rockies’ tallest peak. Then, stroll the ancestral grounds of the Shuswap people and view a traditional kekuli winter home built by the First Nations people. Return back to Vancouver and visit Capilano Suspension Bridge Park. Tonight, enjoy dinner. 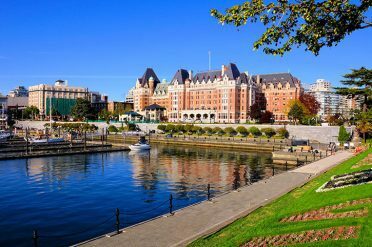 Transfer to Vancouver International Airport or to Canada Place for those on the optional Alaska cruise.